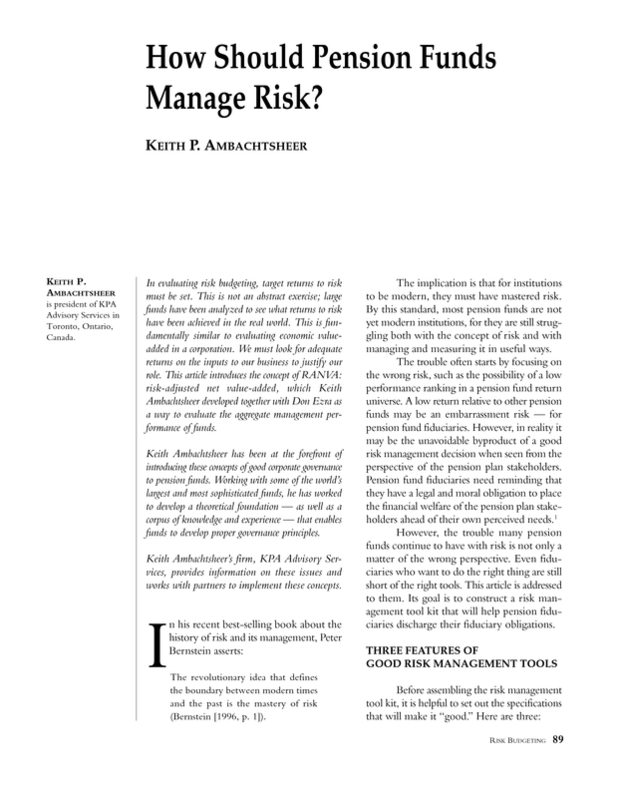 How Should Pension Funds Manage Risk? is president of KPA Advisory Services in Toronto, Ontario, Canada. You are going to email the following How Should Pension Funds Manage Risk? WHAT ARE THE SOURCES OF PENSION FUND RISK? HOW MUCH RISK EXPOSURE, AND HOW MUCH SHOULD IT PAY? CAN PENSION FUNDS PRODUCE POSITIVE RANVAS?